I’m working on the finishing touches of the eBook on how to determine the worth of your coins. I’m excited to see what you think of it. To thank you for being a reader of the site and to build up some excitement for the eBook I have 5 prizes to give away. 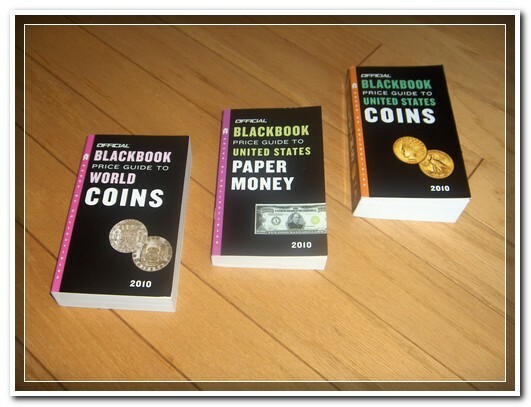 The first three prizes are new 2010 Blackbook Guides on United States Coins, World Coins and United States Paper Money. 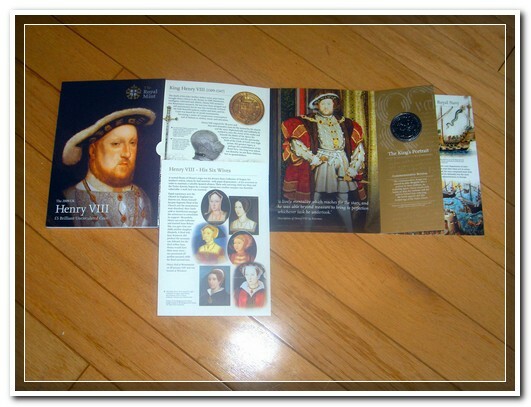 The fourth prize is a BU 2009 Henry VIII £5 coin. The last prize is a paperback copy of World Paper Money Errors by Morland Fischer. It sells for $25 on Amazon. To win a prize, just fill out the survey below and be sure to include your email address so I can email you if you’re one of the lucky winners. Your email address will not be used for any other purpose other than that. The survey will be open for 5 days, starting today (Monday, June 7th) and ending Friday, June 11th. I will announce the winners and post a summary of the survey results on Monday, June 14th at 5 PM PDT. The winners will have 24 hours to respond by email with their mailing address. I will cover the cost of postage to anywhere in the US. The five winners will be randomly selected from all survey responses with an email address. One survey response is permitted per person and prizes are limited to one per person. Winners will be notified by email on Monday, June 14th. No purchase necessary, void where prohibited, you must be at least 18 years of age and a US citizen to enter. And now, on to the survey. Good luck! Update: The survey has ended. Thanks to all those who participated.